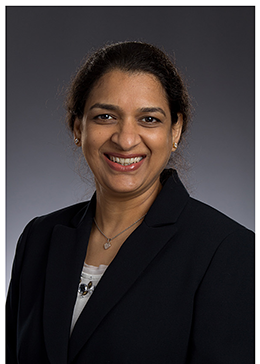 Dr. Saritha Regulapati is Board Certified in Internal Medicine and provides primary care for adolescents and above and senior care. Also, Dr. Regulapati (or “Dr. Saritha” as some patients call her) is a USCIS Designated Civil Surgeon for Immigration Medical Examinations. Dr. Regulapati did her Residency in Internal Medicine at Kingsbrook Jewish Medical Center in Brooklyn, New York and earned her Medical License & Board Certification in California and New Jersey in 2005. Dr. Regulapati received her medical degree from Osmania Medical College at Hyderabad, one of the premier medical institutions in India, and earned her medical license in 1996. Apart from English, Dr. Regulapati also speaks Hindi and Telugu. Dr. Regulapati is affiliated with University Medical Center of Princeton at Plainsboro (UMCPP) and St. Peter’s University Hospital at New Brunswick. Also, Dr. Regulapati is affiliated with most Nursing Homes, Rehabilitation Centers, and Assisted Living Facilities in the area for inpatient medical care. If you would like your doctor to personally coordinate your care with specialists, hospitals, nursing homes, rehabilitation centers, other caregivers, and family members, Dr. Regulapati is one of your preferred primary care doctors. To accommodate patients’ needs, Dr. Regulapati is also available late hours and weekends too.